Post in Creation Day and tagged bara, Big Bang, Big Bang Theory, creation, Creation Day, expanding universe, Genesis, heat death, Isaiah, mathah, natah, revelation on October 6, 2015 by Rochelle Tolon. The Big Bang Theory has never been matched by any other scientific theory about how everything began. While the theory itself has been modified several times due to new scientific findings, two ideas remain constant: first, that the entire universe came from a single mass of energy that continuously expanded until it formed different galaxies, planets, and stars; second, that the universe is continually expanding everyday. This article will focus on these concepts and how it corroborates the Biblical account of creation. The Big Bang theory stipulates that around 13.8 billion years ago, the universe started out as a small mass with high density which expanded, and the collision and fusion of several substances paved the way for the creation of the galaxies, planets and stars. While this timeline does not provide an exact match for the biblical account of God’s creation in just six days, the Hebrew word used for creation is “bara,” which means to bring to existence something that has never existed before. Big Bang has not been able to deal with how that single dense mass that expanded to become the universe, came into existence. This can only mean that an eternal being, such as God, who exists outside our concept of space and time, is responsible for creating the dense mass that expanded. While the Big Bang theory provides an explanation for how everything came to being after the Big Bang, it still doesn’t explain how the big bang came about – someone had to push the button. In the original Hebrew text, both the verbs “mathah” (meaning the action has been done) and “natah” (meaning the action is still being done in the present) were used to denote both an ongoing and a completed action. There are still some aspects of the Big Bang Theory that do not fit with biblical truth. For instance, the world’s end and the establishment of an eternal kingdom as prophesied in Revelations is contradictory to the “Heat Death” which is how the Big Bang is assumed to end. However, we have seen God’s hand on how He enlightened scientists at the perfect time so that portions of the theory can be corrected or supported by more evidence. As Christians, it is important that we do not let go of our biblical foundations especially regarding Creation. Even before we had the tools and the technology to observe the stars, the planets, and the entire universe, God has equipped us with the truth through His Word. As new scientific evidences come up, it means that God is revealing more of His knowledge to us and He wants to equip us with more evidence so we can be witnesses to His unmatched power and glory. Just another fantastic reason why we should celebrate Creation Day! Post in Creation Day and tagged Adam and Eve, Christ, God on October 3, 2015 by Taryn. Consumption is an inherent part of the human condition. We all consume and we always will. Consumption is merely our need to use things in order to fulfil our basic needs as humans. However, we must recognise the difference between consumption and consumerism. When most people think of consumerism, they think of shopping sprees and violent squabbles at Boxing Day sales. However, consumerism is much more than mere materialism. Consumerism is a much broader problem, and has now come to be the broader framework in which people view their lives and themselves: a person’s worth is determined in terms of ‘having’ rather than ‘being’. Consumerism is the force behind the culture of consumption in which we now live. While consumption is an action we must all take at times, consumerism has established consumption as a culture which has come to define our society in the wider sense. Consumerism defines life individualistically – by what one has rather than what one experiences or who one shares it with. Within consumerism, a person’s achievements are measured by what personal possessions they have – reducing people to objects of consumption. Consumerism teaches us that we do not need education or experiences to be privileged – we can achieve this status by simply purchasing a large amount of material goods in order to achieve satisfaction, happiness and contentment. The good life is but a purchase away. Families are also suffering under the culture of consumption as we appear to have lost our commitment to family values. The boundaries between family commitments and career advancement have now blurred, and the marketplace now reigns as more and more parents choose work over family – often rationalizing that the higher income will naturally mean the better choice for everyone. People no longer hesitate to take work on Sunday’s and often take on as much work as they can. According to studies, the average amount of hours worked by all family members has increased by 11 percent since the 1970s and more than 30 percent work on weekends and holidays. These numbers are also in keeping with new numbers that suggest that the average amount of time parents spend with their children has declined by 22 hours per week since the 1960s. The increase in monetary work has also meant a decrease in the time spent in community involvement. Weekly church attendance has reached an all-time low and it is not uncommon now for neighbours to not even know each other’s names. The culture of consumption tells us to work hard now, and make time for family later but this does not always come to fruition. It also fosters a culture of working hard until everything is done, when we will be able to ‘start living’. The idea is that if we work hard and make enough money, we will finally be able to buy all of the things we need in order to start enjoying life. The problem with that is that our children will grow up and our families will deteriorate while we are working. Life passes by whether we are ready to ‘start living’ or not. A common argument amongst people who overeat is that while alcoholics can give up alcohol, food-addicts cannot give up food. Going cold turkey is not an option and so it is more difficult to rehabilitate those who are addicted to food than it is for those who are addicted to substances such as alcohol. The same applies for consumption: because we have to consume to meet our basic needs, it is not as simple as ‘giving it up’. The problem, however, does not lie in the consuming to live, but rather, when we start living to consume. Any critique of consumption must address the issue of idolatry. When we begin to start living to consume, we put material goods at the centre of our lives, rather than God. Buying things is not the issue – nor is collecting material goods. The issue is what priority we give those goods in our lives. The culture of consumption encourages us to define meaning and assign value based on material goods. One’s identity can be defined by the clothes they choose to wear, the car they choose to drive and the things they possess. No longer does the old adage “you are what you eat” resonate. You are what you consume. Consumerism is the driving force behind everything in our culture. It undermines individuals as well as disintegrates families and communities with its silent, but deadly, presence. More recently, it has also been at work in undermining the Church and its influence. Shopping is now considered the number one leisure activity in the United States – a position that was once occupied by religion. Consumption is no longer simply an economic phenomenon – it is a worldview, a framework through which we interpret everything else…including God. Much dialogue has taken place, particularly online, regarding the church’s recent decision to cash in on consumerism, often participating in capitalism, without even being aware of it. Because consumption has become so ingrained in our worldview, we barely even recognise that it’s happening, let alone question it. With the advent of ‘church-shopping,’ churches have adopted a corporate model which employs marketing strategies and business values in order to be competitive within the church market. In order to add appeal, some churches are even cashing in on the consumeristic nature of their members – putting their logo on shirts, coffee mugs and other merchandise and making it available for purchase. Christian stores have also cashed in on the culture, offering Christian merchandise – books, CD’s and jewellery. Instead of striving to counter the culture of consumption, churches and Christians everywhere, are reinforcing it. If you love to shop –then you can now do so… in Jesus’ name. Though ‘consumption’ has come to be a dirty word it doesn’t necessarily need to be. While the consumption discussed above has left behind it a trail of credit-card debt, bankruptcy and gum wrappers, the word needn’t be associated with such negative connotations. We are all consumers – participating in transactions for goods that we need. If we do it well, we can be healthy consumers, fostering a culture that contributes to meeting people’s needs and watching the human population flourish. As Christians, we must lead the charge on consumption. We have participated in it as much as everyone else – we have been reckless and overindulgent in our consumer habits and have allowed too many issues to go under the radar, accepting them as part of the society in which we live. Consumerism has now become so bound up with identity, that we cannot ignore the issue any longer. Social media has further driven our consumer identity – we write status updates about our purchases, photos of us in clothing that we bought and take pictures of the food we are eating. By putting ourselves on display we are allowing ourselves to be identified by the books that we read, the brands we are wearing and the products we are buying. Consumerism has become the outer layer of our identity, and we are posting it on Facebook for everyone to see. We must be mindful about what messages we are sending, and what consumer habits we are putting on display. To indulge in a culture of consumption is to forget our identity in Christ. By filling ourselves with brands and products we are giving our identity over to the culture of consumption. We must live for God, in Christ, filled with the spirit. Only when we can do this will our true identity shape our lives. 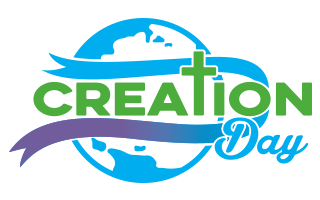 To celebrate Creation Day, sign our petition to establish it as an official holiday!